Patio Covers - L.J. Hausner Construction Co. 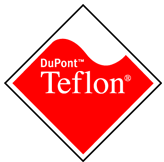 Choice of lattice or solid patio cover installed starting at $9.95 per square foot. Patio Covers are a great way to enjoy and relax in your outdoor areas. 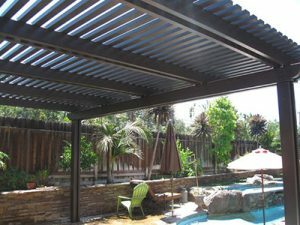 Our aluminum patio covers can be installed throughout the Southern California area and really help shade your patio from the harsh sun. You can even sit out and enjoy the occasional rainy day yet be protected by your patio cover. Patio covers are great because they can be used all year round, and won’t deplete your budget. Our patio covers come in a variety of styles and colors. Our design experts will help guide you through all we have to offer and which type of patio cover will best suit your needs. We can also include details such as ceiling fans, lighting and even skylights. 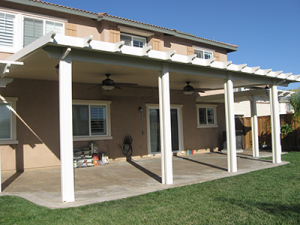 A patio cover can also add tremendous value and architectural detail to your home. Our aluminum patio covers are made of high performance aluminum and have a Teflon finish so they will last forever with the harsh elements. All our patio covers come with a transferable lifetime warranty against fading, chipping, peeling, and are maintenance free, allowing you to sit back and enjoy. Our lattice and flat pan covers come in eight colors to choose from, each providing that wood grained embossed look. We have several choices for rafter and beam end cut, like our Scallop Cut that offers soft curves or our Corbel Cut that gives it the added extra detail. We also have the Miter Cut or Beveled End Cut for the patio cover that should look more traditional. If you’re ready to begin enjoying and relaxing under your new patio cover give us a call today at 800-698-2005 or complete our online free in-home consultation form and get your free estimate today. Continue reading about our different types of patio covers including lattice, flat pan, and insulated.